Pilar is a district made up of the following areas: Del Viso, Pilar, Manzanares, Villa Rosa, Villa Astolfi, Presidente Derqui, Tortuguitas, y Manuel Alberti. 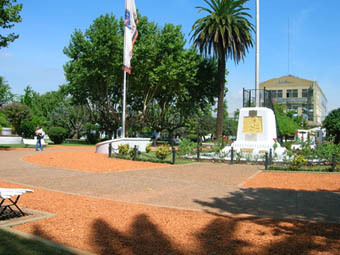 Pilar is located in Northern Greater Buenos Aires, 45 km away from the City of Buenos Aires. Pilar has seen a good rate of growth since the beginning of the 1990:s. Several closed neighborhoods, country clubs and weekend houses have been attracting investors to the area for the past decades, and during the weekends the area explodes with life as the many families from the Capital of the country come to rest, doubling the number of inhabitants. Reaching Pilar is not very difficult. the district is accessible by Highway N°8 or the "Panamericana" Highway. The area of Pilar is 45 KM away from the City of Buenos Aires, while the districts main city, also called Pilar, is 57 KM away from The Capital of the Coutry. Pilar has a total surface area of about 382 KM2. The social disparity is quite noticeable in the Pilar district; the people that have moved to the area recently, have in most cases a high income and live in large houses separated from the city, while the older population of Pilar has some of the lowest incomes known in the whole country of Argentina.